Beverly Ann Mileski Gurney, age 79, of Gladstone, passed away Wednesday, November 14, 2018 at her home. She was born on April 29, 1939 in Escanaba, the daughter of Orville and Vivian (Lampinen) Lehto. Beverly was raised in Rock and was a 1957 graduate of Rock High School. The former Beverly Ann Lehto married Leon John Mileski on December 26, 1957 at St. Joseph Catholic Church in Escanaba and he preceded her in death on October 28, 1990. Together, the couple shared 32 years of marriage and raised four daughters, Rhonda, Debra, Vickie, and Wendy. She waitressed at various restaurants in the area until she became a homemaker, caring for her family. She took great pride in always having a clean home and setting great examples and values for her daughters. Beverly married Earl D. Gurney and he preceded her in death in 2011. 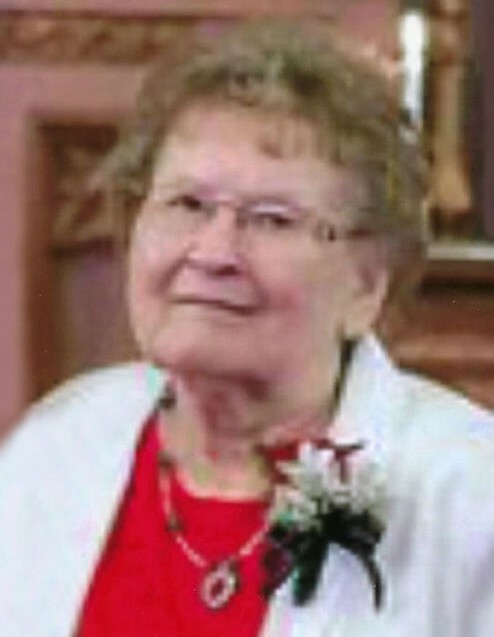 She was affiliated with First Lutheran Church in Gladstone and was a longtime member of the Gladstone Yacht Club. Beverly enjoyed spending time with her family at their cottage on Corner Lake and in her younger years liked to go camping. Her family meant the world to her and she loved spending time with her children, grandchildren, great-grandchildren, and friends. Beverly lived her life full of love and laughter and will be greatly missed. Beverly Ann Mileski Gurney is survived by daughters, Rhonda (Everett) Angeli of Iron River, Debra Stenlund of Rapid River, Vickie (Wayne) Marshall of Gladstone, and Wendy (Tom) Howerton of Escanaba; grandchildren, Kristie (Brian), Jayni, Tim, Nathan, Breanne (Ryan), Lauren (fiancé Nicole), Stephanie (Josh) and Shannon (Kyle); great-grandchildren, Kaydyn, Kynley, Jason, Tomilynn, and one on the way; sisters, Sandra Dela Pena, and Elena (Alan) Walls; as well as several nieces and nephews. Beverly was preceded in death by her parents, Orville and Vivian Lehto; first husband, Leon John Mileski; and second husband, Earl D. Gurney. Visitation will be held from 5:00 p.m. to 6:30 p.m., Friday, November 30, 2018 at the Anderson Funeral Home in Gladstone. Funeral services celebrating the life of Beverly will follow at 6:30 p.m., Friday, in the Anderson Funeral Home Chapel with Rev. Tom Otis of First Lutheran Church officiating. A reception will be held at the conclusion of the services at the Gladstone Yacht Club. Burial will take place in Fernwood Cemetery in Gladstone.